Items are products or services your company buys or sells. Sometimes, items refer to products or services your company buys, sells or resells. Other times an item can represent additional charges, discounts or sales taxes. 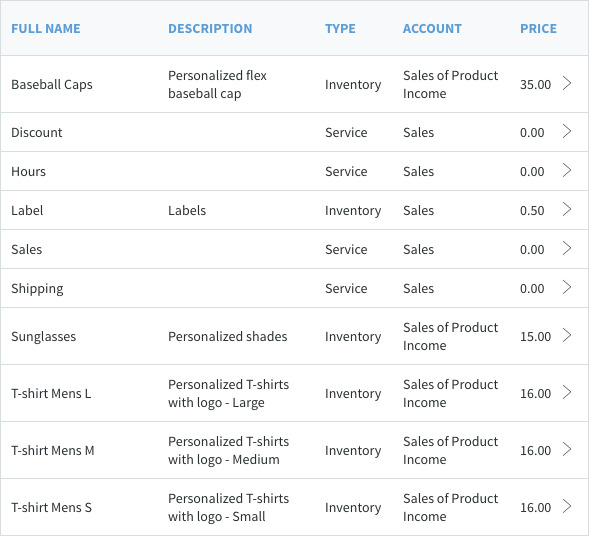 In Method, items appear as "lines" on transactions like estimates, invoices and sales orders. Items can be created in both Method and QuickBooks, and are saved in both when you sync.